AfterShokz, the global brand known for its unique open ear headphones powered by patent pending bone conduction technology, have announced that the highly anticipated wireless Bluetooth version, Bluez, is now available to the European market via Pinpoint Consumer Electronics. AfterShokz Bluez open ear wireless Bluetooth headphones claim to deliver the most comfortable and safe option for wireless voice communication and music play. Unlike conventional Bluetooth devices that use the eardrums to transmit sound and are designed for use in one ear, Bluez are stereo headphones that rest comfortably in front of the ears and utilize bone conduction technology to transmit sound through the cheekbones to the inner ears, bypassing the eardrums completely. With both ears open, users wearing Bluez can remain alert to ambient noises-from traffic sounds when in use outdoors or while driving, to a nearby colleague in the office. The elegant and simple design of AfterShokz Bluez wireless headphones consists of an ergonomic, extremely stable, one-piece wraparound headband. This headband wraps over the ears and features an adjustable (and removable) inner tension band to comfortably accommodate a wide range of head sizes. The open ear style and light overall weight make Bluez far more comfortable than traditional Bluetooth headsets, especially when used over extended periods of time. Those that find conventional Bluetooth accessories to be uncomfortable to wear, or are frustrated by products that fall out of the ear during even mild levels of activity, will be pleased by how stable Bluez feel. A make/take call button on the left transducer, an advance/pause button on the right transducer and volume controls on the back of the headbandgives users total control over their music, podcasts and phone calls right from the unit. 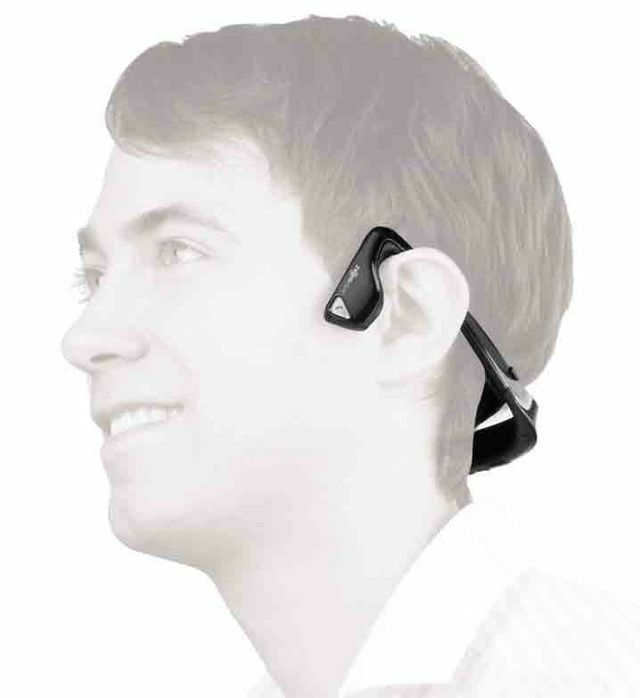 Notably, blind and hearing-impaired persons have reported that pairing AfterShokz headphones with assistive devices such as screen readers, global guidance technologies, cell phones and audio players, provides them the opportunity to remain acutely in touch with surroundings. 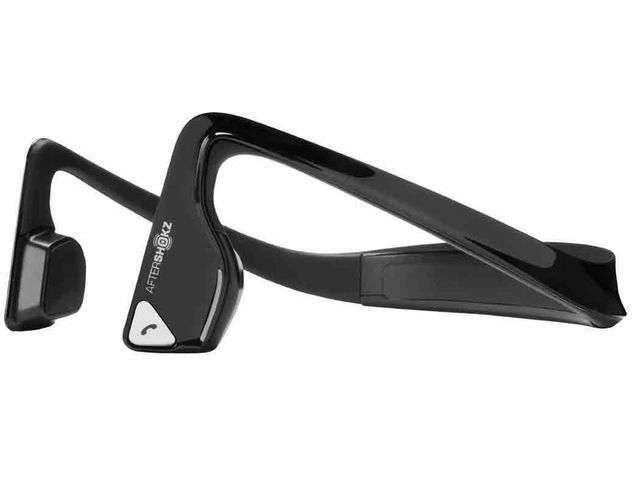 AfterShokz Bluez garnered significant attention even prior to consumer availability in the U.S., earning a prestigious CES Innovations 2013 Design and Engineering Award in the headphones category in January 2013. More recently in May 2013, Bluez earned the ‘Most Innovative Product’ Award at the Electronics Retail Summit Europe, sponsored by ECRM and Levin Consulting, in Rome, Italy. AfterShokz Bluez (RRP £99.95) are currently available via the company’s website: www.aftershokz.co.uk. Additional availability via select retailer partners in the region will be announced soon.